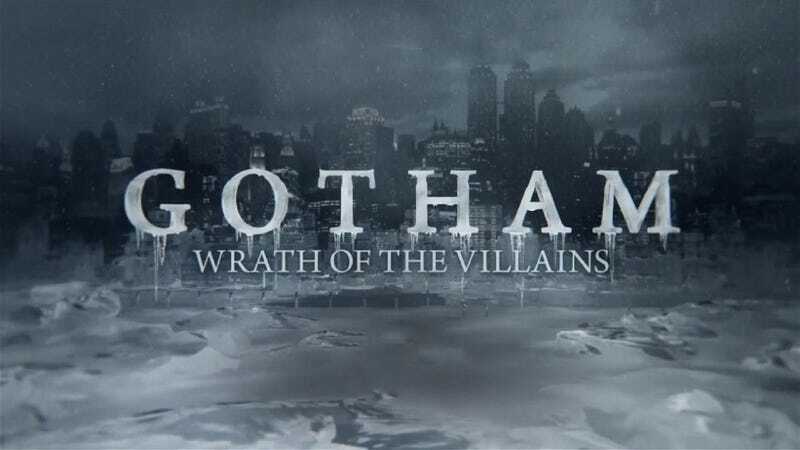 Gotham Season 2 Episode 16 - "Wrath of the Villains:Prisoners"
Sorry for missing last week’s episode. I’m back with this week’s Gotham discussion thread. Tonight we hada mix of family intrigue and prison drama. Spoilers aheaad! So since I missed last week’s episode I can’t talk about it to much. I did read a summary and so i get where we stand. Ed managed to work behind the scenes to get Jim sent to prison for the murder of Officer Pinkey, one of the Strike Force (remember those guys?) members, because he had evidence that Jim killed Galavan. Jim is sentenced to 40 years in Blackgate. The plot of this episode mainly focuses on Jim’s adventures in prison. The warden isn’t a fan of his as Loeb, the former GCPD commissioner was a friend. We had inmates surrounding him who want him dead. He manages to hold his own and with the help of Harvey and a helpful guard, escapes with the plan to clear his name. There is also a sub-plot where Oswald spends time at the house of his father who he meet in the previous episode. They become close and he even confesses to Penguin that while he told him his own father had medical issues, he was in fact plagued with a dark heart. He belives Penguin to be honest when he tells of how he has changed from what he once was. Of course the man’t wife and children aren’t to happy wth this new interloper who has come into their lives. Here are a few of my notes and observations. It feels like this is pretty much where I was supposed to be. So Jim Gordon is in prison. Is anyone surprised? It’s felt like that’s where he belongs since Season 1. I know he’s the main character so he has to escape. But as far as him clearing his name, that means diddly and squat since we know we killed Galavan. There is no ambiguity there. I know i’m supposed to be happy he escaped but I can’t help but feel that he should back in there to pay for his crime. I liked the use of a montage to show time passing in Blackgate. He wakes up, eats slop, does laundry, walks the yard and goes to bed. The whole time the picture of Lee is the one thing keeping him sane. Of course since this is Gotham, the baby dies and Lee has gone south. I wonder how much of that was because of Morena’s limited availability while shooting Deadpool. This episode focuses on Jim and Oswald and I like that. It’s nice to not have 3 or 4 stories to keep track off. I really like Paul Reubens as Elijah Van Dahl. He gives the character an air of gravitas and dignity. I will always know him as Pee-Wee but he showewd he can do good dramatic work. That said, what is the point of this? We know the treatment won’t hold and Penguin will go back to his old ways, We already show him have a nightmare, flashing back to memories of his old life. So is this so he has access to money and a base so he can re-forge his criminal empire? Speaking of criminals, Falcone is back and Harvey begs him for help to bust Jim out of prison. Because of course clean cut all-American boy Jim Gordon would accept a mobsters help. I guess violent murders and rapists like Looney Tunes and 1940s musicals. I liked the callback to Loeb from the warden. We got a Loeb callback, Falcone back and reports that Jada Pinkett Smith is returning. It’s like Season 1 has returned with a vengeance. Jim of course had to know that this might happen once he made a play against Loeb. Well, most universes Jim Gordon would, but i’m not sure about the bag of rocks Gotham has playing Jim. That’s all I got for tonight folks. Discuss below in the comments and i’ll add some links later this morning.